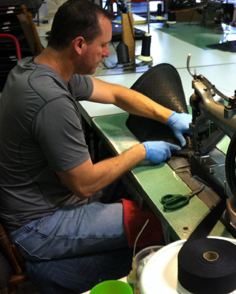 Cocomats.com Car Floor Mats was founded in 1996 out of a garage in Agoura Hills, California. 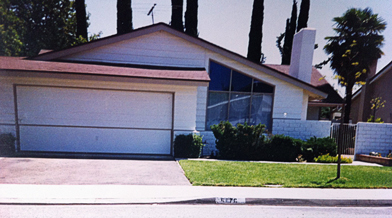 The idea began when a DHL package from India was sent to California by mistake. The package was intended to be delivered to a United Kingdom home floor distributor, but ended up on the door step of Jeff Allwine who was expecting a sample shirt to arrive. Inside the box was a small sample of woven coconut fibers. A divine mix-up that planted the Cocomats.com seed. Cocomats were very popular in the 1950’s, 60’s and 70’s, as a factory accessory option by Porsche, Mercedes Benz, BMW and many other European Automobile Manufacturers. They were, and still are, one of the best woven car mat options available that can help any car look great. They are also the only Car Mat option on the market that can hide the dirt on your cars floor, just like when they were first developed. By the mid 90’s Cocomats were no longer available. So when the co-founder, Jeff Allwine, received the package of Coco fibers by mistake it sparked a recollection of his early 911 Porsche’s and the great look and feel of Cocomats. Having determined that there was a market for a new and improved line of Cocomat Car Mats, and finding no one manufacturing them at the time, CocoMats.com was started. A few old sets of original Porsche Coco Mats were bought from Gary Emory at Parts Obsolete in Oregon in order to get the weave and colors to match the original cocomats. 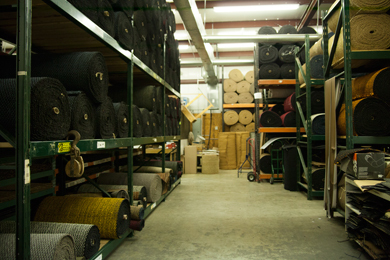 Contacts were made with a factory in India to purchase the new and improved coco matting material, which factory we still use to this day after 22 years of working together. 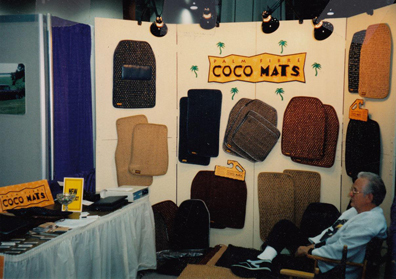 One of the first things we did after starting CocoMats.com back in 1996 was to design and add a nibbed rubber bottom to the underside of every set of cocomats car mat we manufactured. The original cocomats were developed to go on the floor of the early European automobiles when they still had rubber on the floor and before carpet was the norm. With almost all automobiles now having carpet on the floor, the adding of our nibbed rubber bottom has given us all of the benefits of the original cocomats but with the added benefits that the auto mats won’t move or bunch up. They are 100% water proof and will still hide and hold dirt until they are either vacuumed or taken out of the car and shaken out or hit up against a tree. In addition to our rubber bottom that holds our mats in place, if any car is equipped with grommets, we offer either factory grommets or factory styled grommets depending on the material chosen and its thickness. We have over 10 different styles of grommets, snaps, posts, and velcro options for the various different car manufacturers systems. The business moved from California in 1998, relocating to Easton, Connecticut. Then in 2006, having out grown our four car garage, storage barn, and full basement, we re-located the business in 4 tractor trailer trucks to our current factory location in Fort Mill, SC. 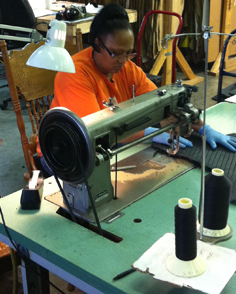 We choose Fort Mill, SC for the great skilled labor and a positive and healthy work environment. 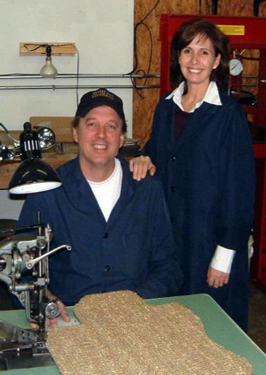 We have been able to build a great team of skilled craftsman, where every mat we manufacturer and sell is hand made to order, using the finest materials and labor available. prior to heel pads going on. When cocomats.com began in 1996 we only manufactured Six different cocomat car mat colors! We currently carry Twenty Four (24) Coco colors, Nine (9) Sisal colors, Two (2) Seagrass weaves, Seven (7) Wool colors, Nine (9) Nylon 6/6 woven nylon colors, Seven (7) Woven Vinyl colors, Six (6) Checkers colors, and Three (3) Stripe colors. Looking back on the business, one of the biggest hurdles that we faced at the beginning of Cocomats.com was that we failed to realize that there are thousands of patterns for the thousands car models built over the years and we did not have one car floor mat pattern. We were so thrilled to have found and revived such an exciting and great product that we just over looked this minor detail. After a few difficult years we persevered and 22 years later we have those thousands of floor mat patterns, including every Porsche, Mercedes Benz, BMW and other European Car manufacturer, from the 50’s up to all of the current models, including left hand and right hand drive cars. In addition to having all of the above patterns, we also offer our customers the choice to send us a new or modified pattern and we will make their mats per their design, for no extra charge, as all of our auto mats are still hand made to order in our shop located in Fort Mill, SC - USA. a Video on Jay’s favorite car mats. different colors and material style. 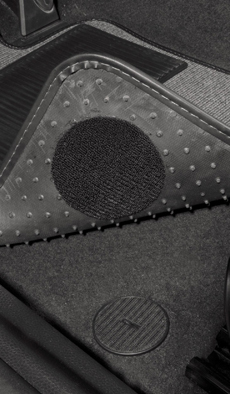 For further information about our car mats, there have been many “About Us “articles and videos done on our Company over the years, including a feature article in the Mercedes Benz club magazine, and a Porche Club of America Product spot light video. 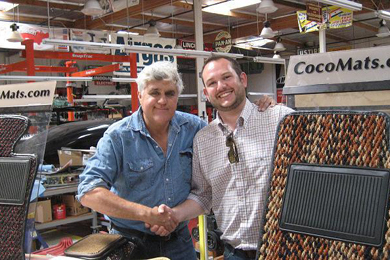 Our friend and customer, Jay Leno, did a video about our mats with Drew that he put on Jay Leno’s garage. It was after the move to SC that Drew Phythian came on board and helped cocomats.com grow with his sales and customer service expertise. Mercedes Source also did an informative video on our car mats, on their popular YouTube channel, and there are many more articles in magazines and online videos available on the internet. You can also find lots of credible information about our mats on the many blogs out there on the online forums. Please keep in mind that there are lots of copies out there trying to make you think they are our mats, but the quality is not the same (see our FAQ page CLICK HERE). Thank you for taking the time to visit our website and reading about cocomats.com. We have included our mission statement below because it is who we are here at CocoMats.com. To have unprecedented customer service, where we truly care about every customer, their car and finding the right mats for them. To manufacturer a full range of custom auto mat products using a variety of new, innovative and traditional materials for unlimited customer choices. Classic Cars to New Cars. To provide unquestionable Quality, Fit and Safety Protection on every car mat we sell. To constantly be looking for new and better materials and constantly improving our products and services every day.